Multi storey hotel in a prime city location. It has giant order pilasters and a three storey podium with good horizontal strip windows, zig-zag folded spandrels and streamline finial elements. 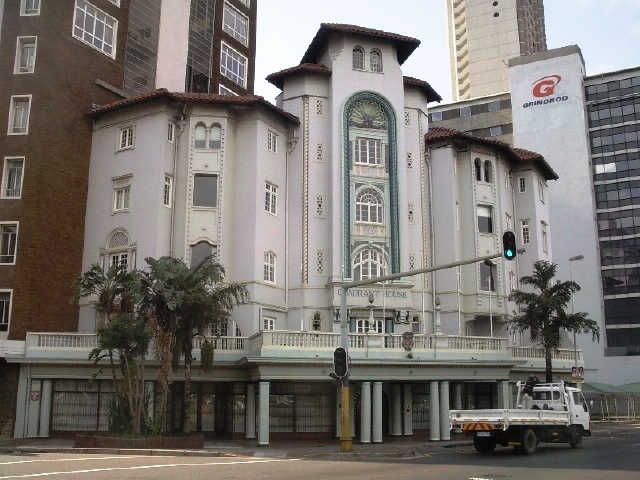 A classic Art Deco building, now in revival of sorts. 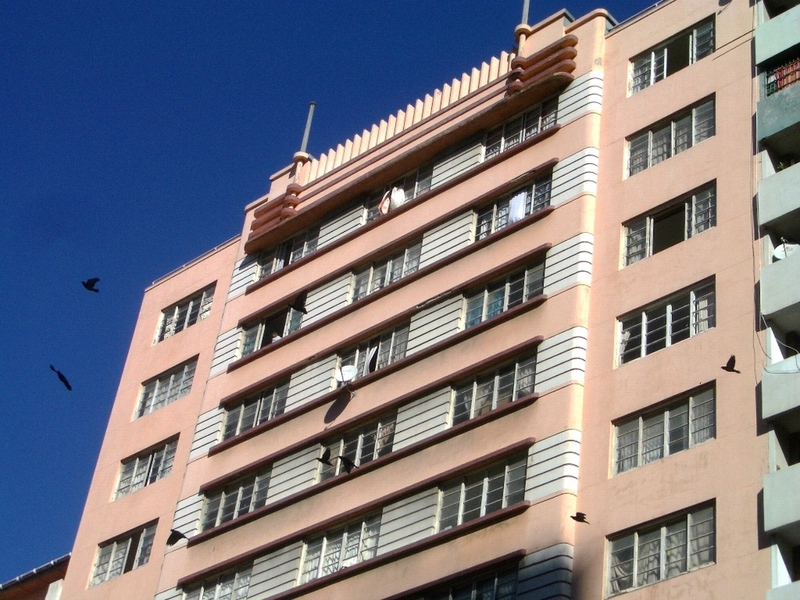 Eight-storey apartment building with distinctive elevational treatment in the form of rich range of stylised geometric animal and abstract figures. Griffons and zig-zag forms at high level with Mayan type heads and a superb eagle form over the entrance. The fasces motifs might indicate sympathy with the advent of Mussolini on the part of the architect or client. Fourteen storey “skyscraper” in reinforced concrete and plastered brick. Might also be termed “Style Moderne” as the principal design qualities reside in the strong geometric forms which are consistently well arranged around the whole building and which look particularly good in sunlight. Notable entrance hall. 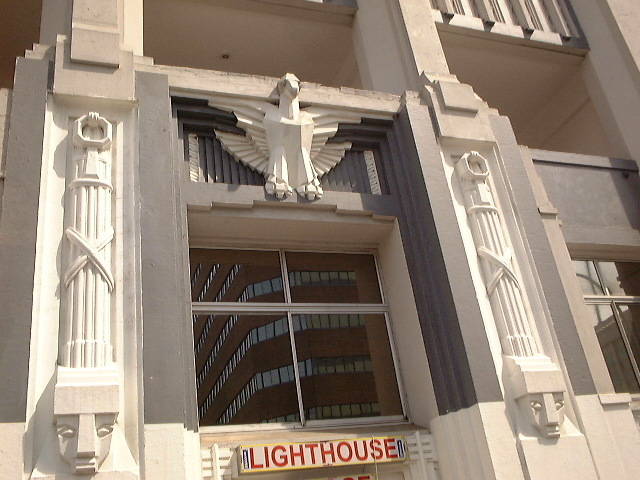 Cape Dutch deco. Recently restored. Multi storey residential building with ground floor shops. Chunky geometry and a symmetrical façade to Stanger Street. Curved corner bay windows and vertical emphasis over the entrance. Vertical pilasters rising through arcuated first floor. Rich in geometric, animal and marine fantastical decorative features. 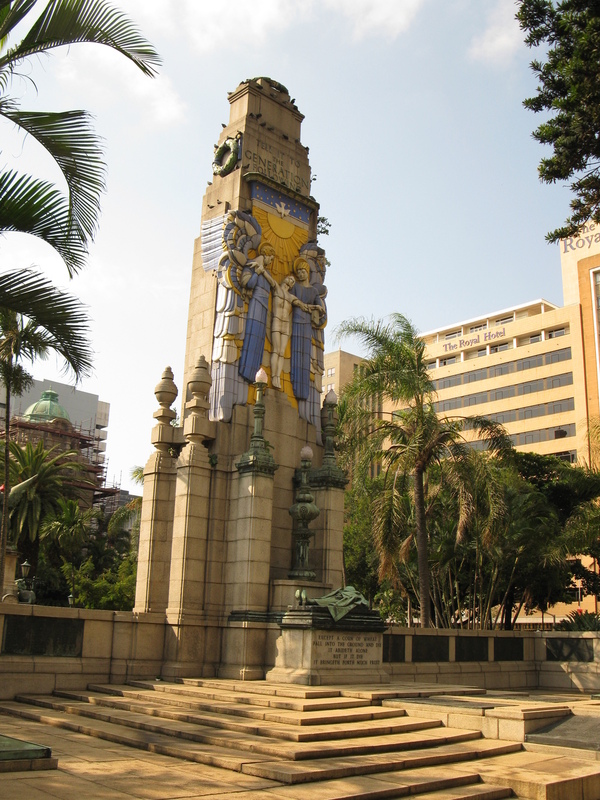 Glazed tile panel above the entrance commemorates the Union Castle mail ships that called at Durban for so many years. S.Patraka, 1936. Salisbury House, P O Box 1111. Flats for C L Moon. Alterations by Hirst & Simpson, 1962. Additional floor added by Frolich & Kass, 1947. Strong verticals.Good, imaginative decorative panels. Similar to a building in Miami. A G Frolich, November 1933, for P E P Rorvick. Strong horizontal emphasis. Verging on “Style Moderne”. Zigzag parapet. Geoffrey E. le Sueur ARIBA. Six storey building with ground floor shops and apartments above. Novel plan with bathrooms on balconies. Heavily modulated façade contained by vertical fluted pilasters. Central section projects forward with horizontal concrete slab capping. 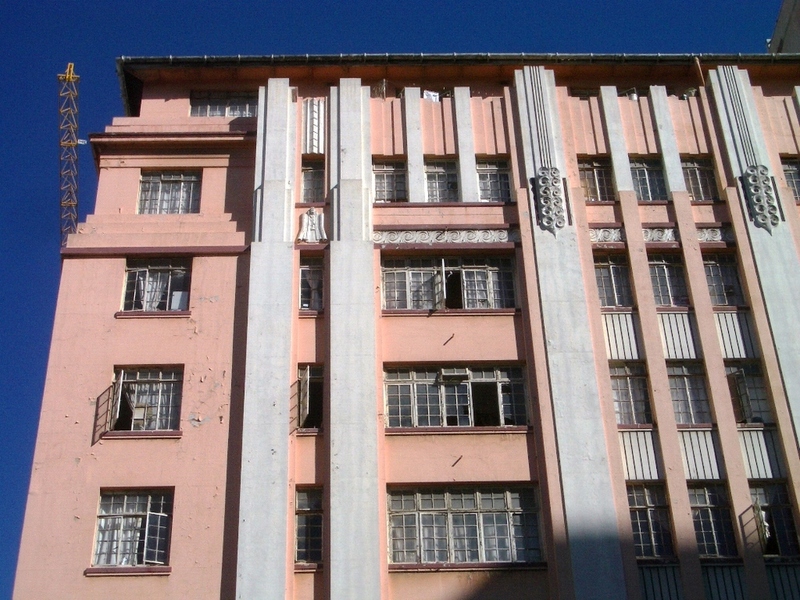 Nine storey apartment building with ground floor commercial use. Verging on 'Style Moderne". Has two full height fluted colonnettes and curved corners. Capped by a horizontal slab with curved corners. Commercial building with highly original curved cornice supported on bold cantilever brackets and zig-zag patterning in dark blue tiles below. 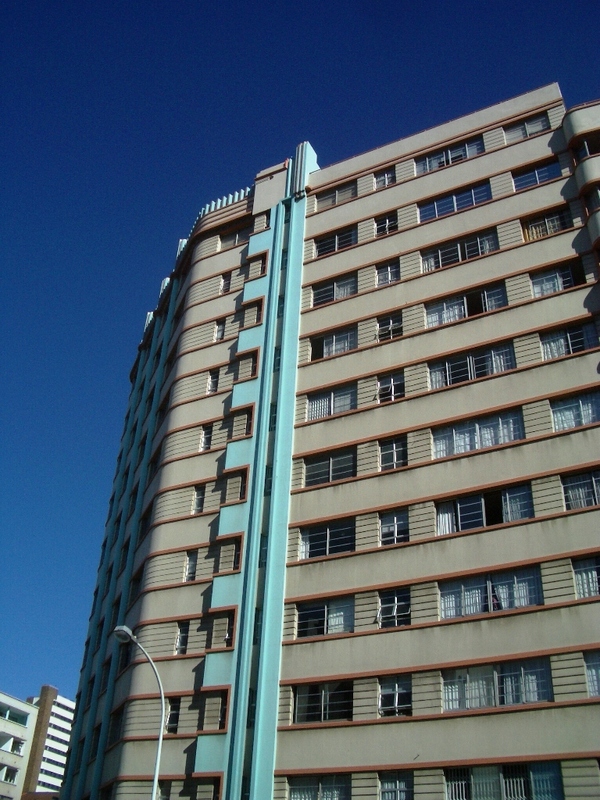 Caretaker’s Flat added, Sept 1935.Cowin, Powers & Ellis, Johannesburg. Ground floor modernised. 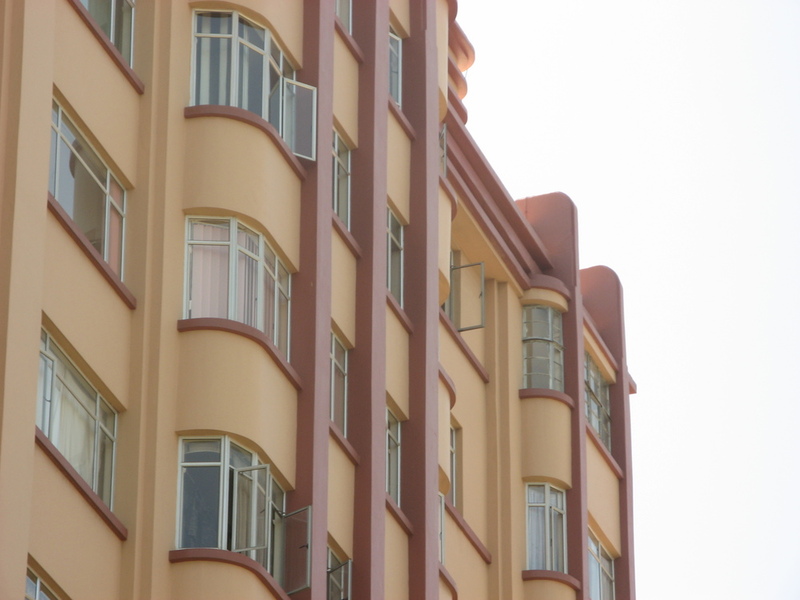 Multi storey commercial building with curved geometry and full height vertical engaged pilasters. Elsworth, Hennesey & Hennesey, Sydney. 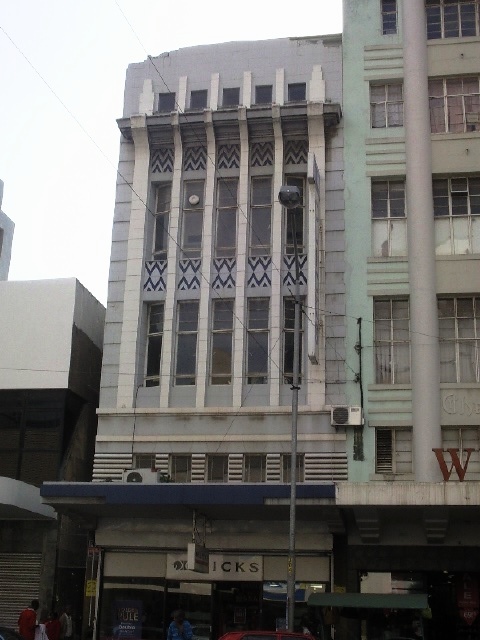 A fourteen-storey commercial building that was the highest in the city until 1939. Richly ornamented with a range of features, some of them like the “barley sugar” columns and heraldic shields. Not strictly AD. Delightful animal and frieze motifs.